Niagara Parks is inviting proposals to develop a Concept Master Plan to better understand how contemporary visitors now connect with Niagara Parks, reflecting the development changes and challenges since the 1990’s. It will examine how the international and local visitors engage emotionally and physically throughout the park spaces around the seasons. The Concept Master Plan will integrate park spaces and attractions by examining connectivity and movement throughout the study area (pedestrian linkages and WEGO) and extending to the surroundings of the Central Parks study area (Clifton Hill and Murray Hill, Niagara Falls GO Station). 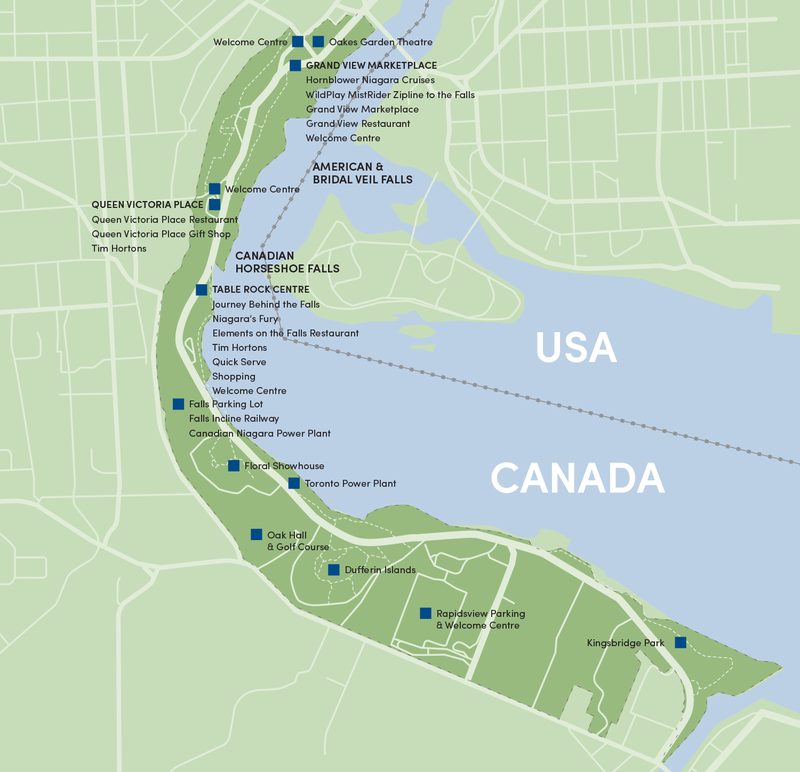 The lands to be included in the Concept Master Plan include the original Park, Queen Victoria Park, and contain a high concentration of features and attractions including the Falls, the historic power plants, the Niagara Parkway, and visitor attractions including Journey Behind the Falls, Wildplay’s Mist Rider, Hornblower Niagara Cruises, The Floral Showhouse, and the Table Rock Complex. Natural heritage features include the Moraine, Dufferin Islands and the Niagara Gorge which are important habitat for rare and endangered species. The Concept Master Plan will identify existing nodes like Kingsbridge Park, Oakes Garden Theatre, Grand View Market Place, Queen Victoria Place, Oak Hall and Golf Course and Table Rock Centre as well as potential nodes such as the power plants, Floral Showhouse as well as future nodes. recommend marketing and financial strategies in support of the vision and 10-year Concept Master Plan.